Aranyak Agri Producer Company Limited board members stand before their maize farm. It’s a foggy December morning, and Shamshida Khatoon must cover a long distance from her village to the community’s headquarters to attend the monthly Board of Directors (BoD) meeting of the Aranyak Agri Producer Company Limited (AAPCL). A few years ago, she would rarely even leave her house—and would avoid speaking with men other than her relatives for fear of shaming her family. But now, Shamshida chairs the meeting of her fellow board members and reviews the work of the men involved with the AAPCL Farmer Producer Company (FPC). Shamshida has emerged as a role model for the other women in her village, motivating them to break with the region’s patriarchal norms to take greater control of their lives. The AAPCL was registered in 2009 in Purnea, one of the most remote districts in Bihar. Run exclusively by women, the group helped its members emerge as successful business leaders, selecting 10 of them to form its BoD. However, despite the women’s dedication in those first few years, they lacked adequate knowledge of proper business operation procedures—and AAPCL struggled to generate a profit. 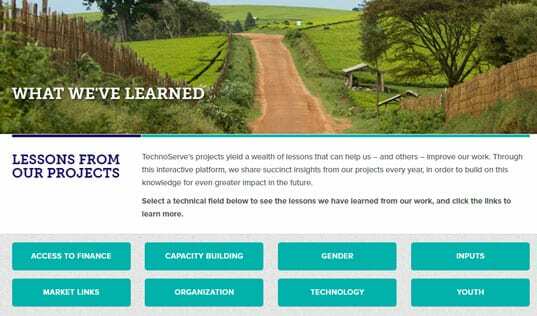 "TechnoServe has helped us in realizing our potential as leaders." In 2014, with funding from the Bill & Melinda Gates Foundation, TechnoServe launched the Women’s Advancement in Rural Development and Agriculture (WARDA) project to integrate smallholder female farmers into agricultural supply chains and market systems, thereby improving their economic status, reducing poverty, bridging gender gaps, and fostering healthy and inclusive communities. As TechnoServe began working with the region’s female farmers, it helped AAPCL design a more effective business model. In the first year, TechnoServe worked with JEEViKA (the State Rural Livelihoods Mission unit in Bihar) to help the group adopt new business processes, such as appropriately timing their sales; measuring moisture in the produce; using electronic weighing machines for accuracy; and mastering the art of sorting and grading to ensure export-quality maize. As a result of these efforts, AAPCL successfully sold 1,014 metric tons of maize in 2015 and began accruing a profit for the first time. By 2018, the company was selling 23,599 metric tons of maize procured from 5,824 female farmers. Shamshida Khatoon has emerged as a leader for women in the AAPCL and in her village. From 2015 to 2017, the WARDA team focused on scaling up the program in other areas, with a focus on sharing information among farmer groups, increasing market linkages, and expanding its geographical reach. 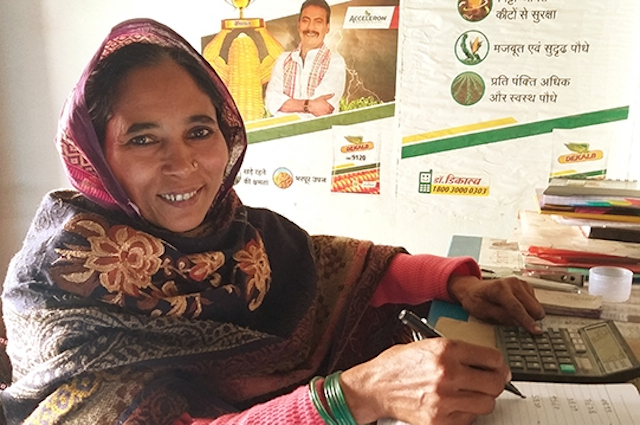 Additionally, the WARDA team helped the farmer groups form a Women’s Leadership Council to promote and support their members as business leaders. The Council instituted two-year rotational leadership within the board to ensure transparency in the governance of the company. 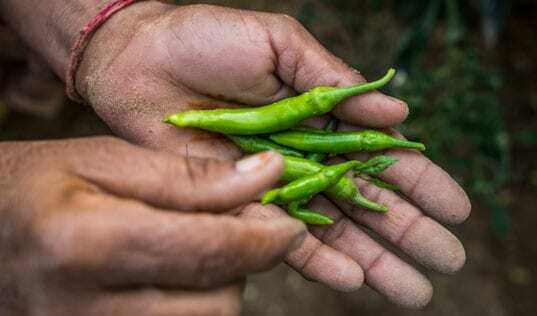 This new business approach has also helped improve the farmers’ resilience. In 2017, excess production of maize in the region lowered the market price, and AAPCL had to bear a loss in the maize trading business. 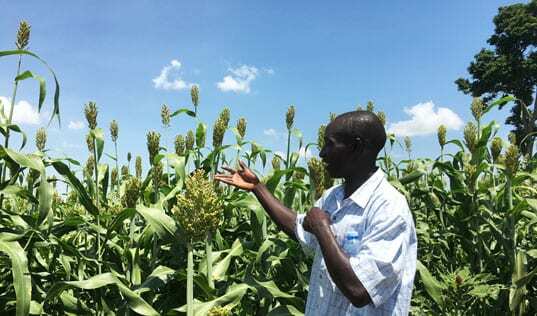 To reduce market risk, following the advice of the WARDA team, AAPCL diversified into the poultry feed business, where maize is a key ingredient. Poultry feed is now a stable market for the company, generating nearly $14,000 in a period of just eight months. In 2018, the company achieved a maize trading turnover of 5,577 metric tons, earning a profit of approximately $29,000. Along with this, the company initiated new agro-input product lines, such as seed supply and fertilizer to ensure availability of quality input for their shareholders. AAPCL board members predominately invest their incomes in the health and education of their children, thus improving the whole community. Their participation in the board has catalyzed increased mobility, a savings mentality and entrepreneurial outlook, and an increase in women’s household decision-making—especially in connection with girls’ education. 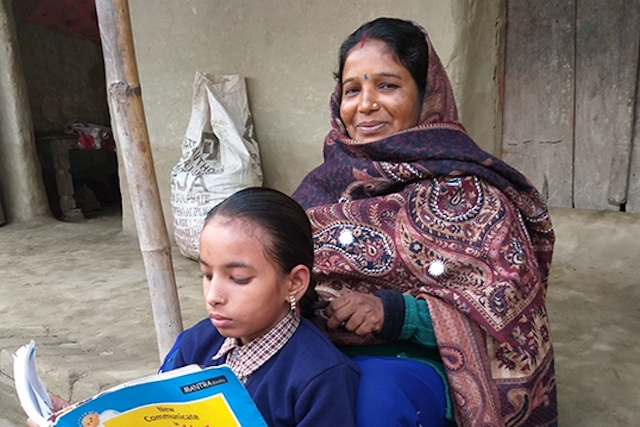 Just like many of the farmer cooperative's board members, Kiran Devi invests her profits in her daughter's future through education. The overall success of the business model of AAPCL is being replicated across India and other countries as well. The neighboring districts of Khagaria and Saharsa have already replicated the model for their farmer producer groups, and, inspired by the AAPCL’s achievements, the BoD of Jeevika Women Agri Producer Company Limited (JWAPCL), aims to tread the same path as well. 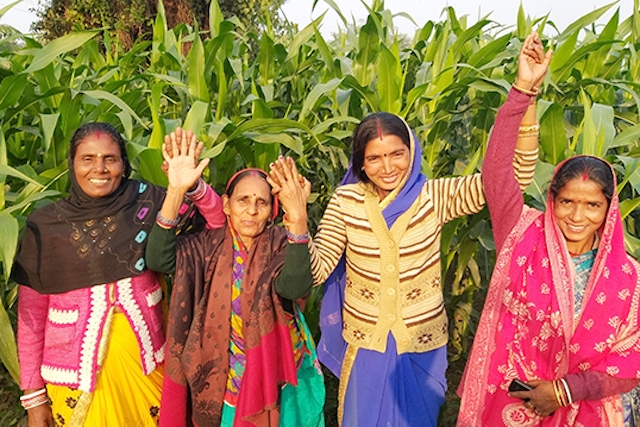 The women aspiring to serve on these Boards are rapidly developing their leadership qualities—helping to ensure that independently run women-led agribusiness in India, and around the world, will continue to grow and break the cycle of intergenerational poverty for years to come.